There'll be no mistaking that you're a Mom when you wear this pretty pendant necklace from My Story's The Isla collection. 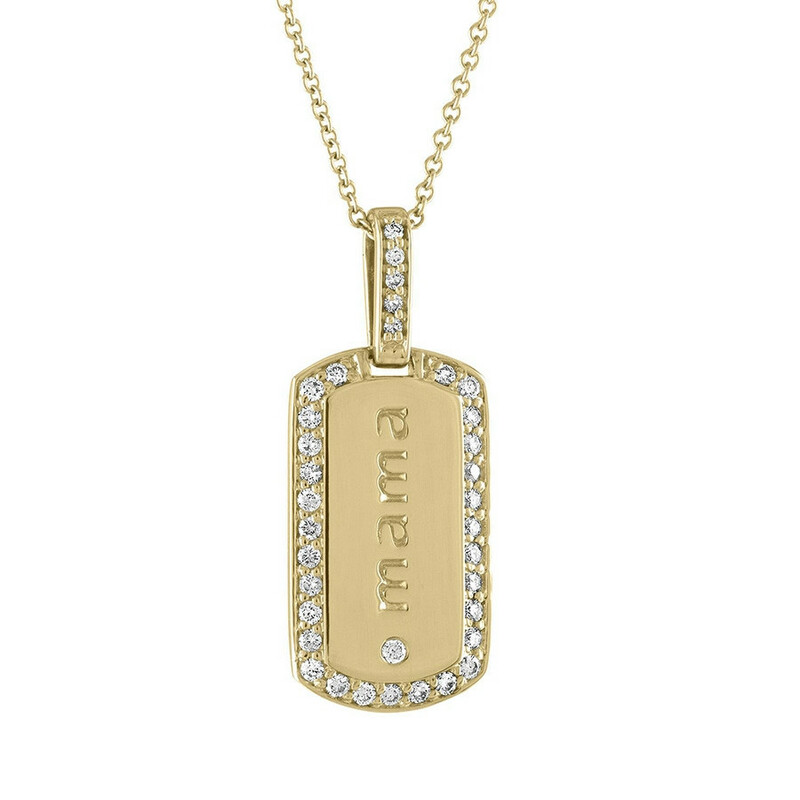 Crafted in 14K gold, it features a dog tag pendant, hanging from a diamond-embellished bail, that spells out Mama and is elevated with a bezel-set diamond and gemstone edging. Show the world your most treasured title with this My Story necklace!